formerly Toronto symbol TER, distributes natural gas in B.C. It also provides consulting and engineering services. The company is now owned by Fortis Inc. Both Emera and Fortis have used acquisitions to expand beyond their home markets in Atlantic Canada. We generally take a skeptical view of companies that grow their businesses that way. Hidden problems with new operations can offset the expected profit gains. FORTIS INC. (Toronto symbol FTS; www.fortisinc.com) is the main power utility in Newfoundland and PEI. In the past few years, the company has used several acquisitions to cut its reliance on Atlantic Canada. 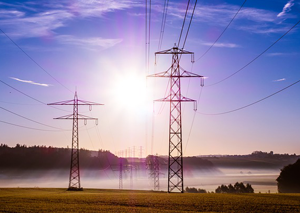 In the past two years, several of Canada’s leading utility companies have used acquisitions to expand in the U.S.
Fortis is one of those companies that seem to successfully expand through acquisition. The utility’s recent purchases have helped to diversify its geographical presence while also limiting its risk. It pays to take a skeptical view of companies that use acquisitions to expand. Unforeseen problems with these new operations can limit expected profit increases. In extreme cases, multiple problems can force the buyer to write off the entire purchase.